Can Businesses Sue for Online Slander and/or Defamation? More often than not, we hear about defamation cases, either libel or slander, in the context of individuals. However, with the continuing growth of social media and online business reviews and the effect that they have on business reputation, many businesses are getting into the defamation mix. People are far more likely to go through the trouble of writing a negative online review than a positive one. Some people have legitimately bad experiences and feel it’s their duty to warn the world. Fair enough. Businesses can benefit from the learning experience. On the other hand, what about those people who use bad reviews to extort refunds from businesses who did nothing wrong? Or trolls that wish to inflame others for no good reason? Should business owners have to sit by and watch their reputations deteriorate? The answer is a resounding “No.” Businesses are protected under Wisconsin’s defamation laws and business owners may take action against these unscrupulous individuals in court. And, while they can’t sue every person that gives them a bad review, they can look to a few basic elements to see if they have a solid defamation case. 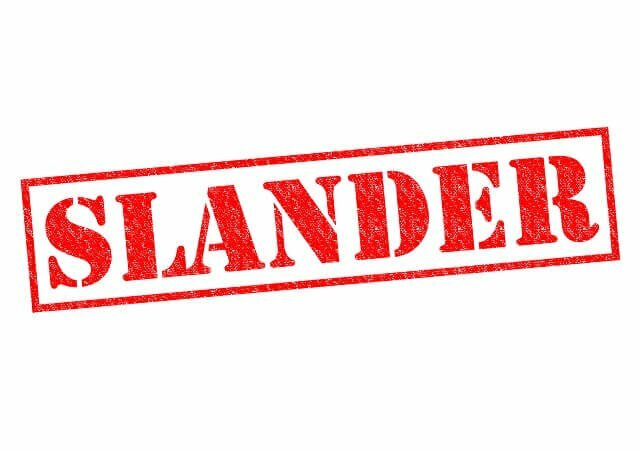 A defamatory statement is one that exposes the business to “hatred, contempt, ridicule, degradation, or disgrace in society or injury to the other’s business or occupation.” This is the first step in determining whether the business has a claim for defamation. Essentially, the business must ask, “Is this bad for the business?” The analysis doesn’t stop here, though. While a statement may be bad for business, if the statement was true, and the statement was communicated with good motives, then there is no defamation. So, for a bad review that simply points out objective facts that (1) the order was wrong, (2) it took two hours to get to the customer, and (3) the service staff wore a t-shirt with expletives across the front, any defamation action would likely be denied. However, if someone left the above review for a business and the business could prove that the reviewer was never a customer, then there may still be a case. Were the Statements Made To Third Parties? If a tree falls in the forest and makes a defamatory statement and no one hears, is there a defamation claim? Probably not. The tree needs to have either posted it on Facebook or told two people in order for the business to bring a defamation action. For slander, courts require the testimony of two other persons who heard and understood an oral statement as defamatory. Publication requirements don’t require that the comment be posted in the Wall Street Journal, just that it was published somewhere that others would see. Did The Statement Damage The Business? Finally, in order to bring a suit for defamation, a business must show that it was damaged by the defamatory statement. Defamation damages can be proven by showing a drop in revenue or a loss of customers. If you have more questions on business defamation, contact the experts at Kerkman Wagner & Dunn or call (414) 278-7000. Our talented attorneys are ready to help you.